Running Man is classified as an “urban action variety,” a genre of variety shows in an urban culture. The MCs and guests are to complete missions at certain places to win the race. In the 304th episode of Running man, the producer of this variety show had scheduled the appearance of two beautiful actresses, playing in the drama Doctors, Park Shin-ye and Lee Sung-kyung. We all know that Lee Sung-kyung was dating the male lead, who became her partner in the drama Weightlifting Fairy Kim Bok-joo, Nam Joo-hyuk. This announcement in Running man, made the fans of this variety show go crazy because back in the past, one of the cast members of Running man, Lee Kwang-soo was rumored to be in love with Lee Sung-kyung. So now, we get to see the interaction between Lee Kwang-soo and Lee Sung-kyung when they meet in one of Running man‘s special episodes, titled “Oh My Goddess,” aired on June 19. The episode is about three beautiful goddesses. Although only one of them is a true goddess, all of the male guests and cast members will break their backs to appease them and prove their loyalty. Lee Kwang-soo had always been known for dating beautiful women. Additionally, we all remember him working with Lee Sung-kyung in the drama titled Its Okay, That’s Love. The producer of Running man has said that when they are on screen together, they are capable of creating incredible chemistry between each other. Maybe we expected that there would be some strange tension between them since it has been a long time since the drama. Additionally, even now Lee Sung-kyung is rumored to be with Nam Joo-hyuk. Nevertheless, it is Lee Kwang-soo who actually broke the awkward situation; he made a really good connection with Lee Sung-kyung, and they were really good as a team. 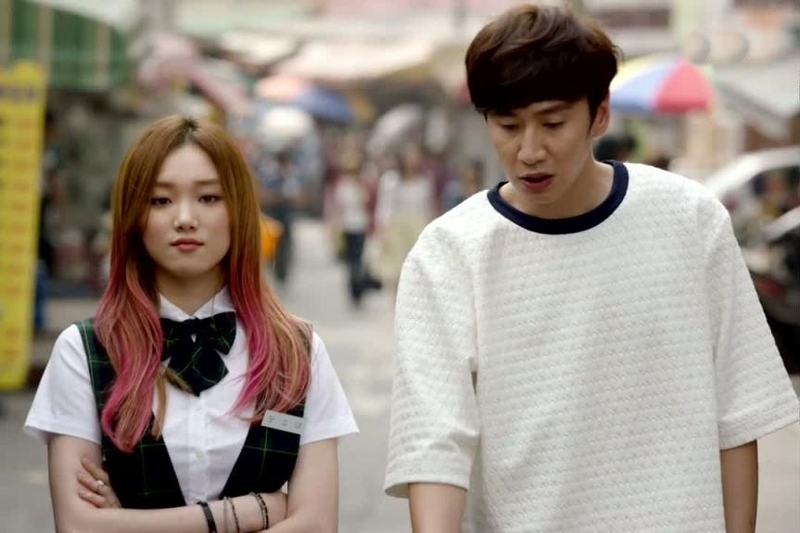 Lee Sung-kyung was delighted to see that Lee Kwang-soo decided to stick with her, though he had momentarily hesitated. We can also see that Lee Kwang-soo enjoyed taking a ride with Lee Sung-kyung, even when they are in one car sitting next to each other. He even made a funny statement about Lee Sung-kyung in the car, about him not believing that Lee Sung-kyung is the true goddess. However, she argues that she herself is a goddess. (They were playing a game about the “true goddess,” and the ladies had their own special prize if they win that day: a diamond-encrusted tiara.) Also, the other cast members of Running man build up on their chemistry and made jokes. When Suk-jin said that Sung-kyung is very pale, she said that she doesn’t really tan. Kwang-soo confirmed this information instantly, which made everyone else question just how does he happen to know this. Be Ready, Inspirits! 15 Pictures of INFINITE’s Woohyun Showing His Awesome Abs!